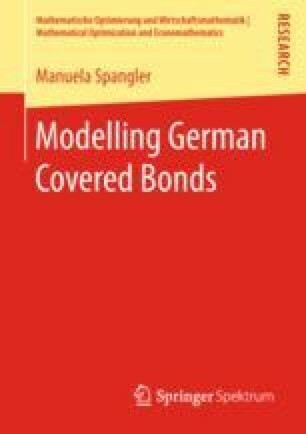 This chapter is dedicated to the modelling of default events and gives an overview of the existing credit risk literature with particular focus on bank defaults and Pfandbrief modelling requirements. In Section 3.1 we introduce the two main approaches to credit risk modelling, the structural and the reduced form approach, and describe their areas of application. As the structural approach turns out to be more suitable for our purpose, we have a closer look at structural credit risk models in Section 3.2. Starting from the seminal work of Merton, we explain the basic idea behind the approach and discuss several model specifications and extensions which can be found in the literature.